If you shop at Kohl’s, then you’ve probably noticed Elle brand fashions. 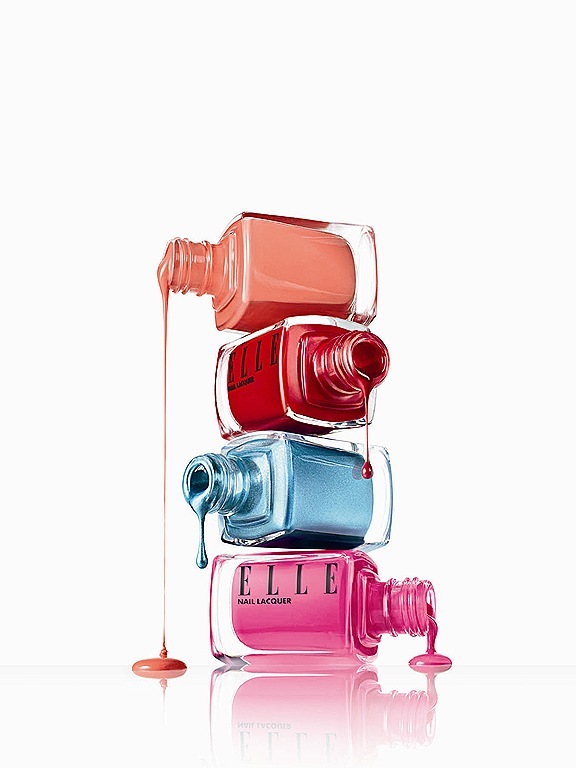 Now, Kohl’s has expanded the brand to include a line of cosmetics, along with a wide variety of Elle nail lacquers — just in time to show off vibrant fingers and toes for summer. I don’t know about you, but winter doesn’t inspire me to polish my toenails, but when summer hits, I’m all about crazy toes. You can select from creamy or shimmery finishes, and each square bottle is priced at $10. Just a small note if you order online through Kohl’s, the colors on your monitor might not exactly match the colors you see in person. I find that they’re brighter on the website. They’re still pretty when you actually hold them in your hand, just not as vivid. Keep that in mind — and happy painting!